Here, a pivotal scene from the Book of Exodus is depicted, as Moses communicates with God in the form of a burning bush. The intriguing drawing of the composition, wherein outlines are suddenly interrupted and turned around, adds a sense of mystery to the piece. Vintage Israeli “Moses and the Burning Bush” Tapestry Rug by Abraham Rattner, Country of Origin: Israel, Circa date: Mid-20th Century – Here is a beautifully woven and truly exceptional vintage carpet – a biblical tapestry that was woven in Israel during the middle years of the twentieth century with a composition designed by the celebrated artist Abraham Rattner. A widely influential American-born artist, Abraham Rattner is admired for his distinct abstract style of painting, which is especially remarkable for its coloration as well as its more surreal qualities. This particular example of Rattner’s work beautifully encapsulates some of the more important facets of the twentieth-century giant’s unique style. For instance, the subject matter is typical of Rattner, who often painted scenes from the bible. 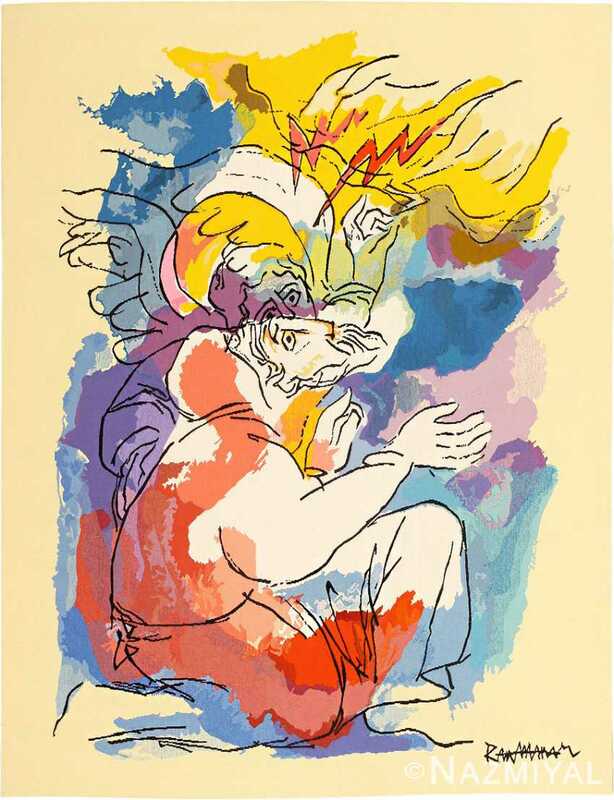 Here, one of the most important scenes from the Book of Exodus is depicted, as Moses communicates with God, who has taken the form of a burning bush. The intriguing drawing of the composition, wherein outlines are suddenly interrupted and then turned around, adds a deep sense of mystery to the piece. Further, the colorful swaths of color that dance throughout the piece infuse with an impression of chaos and disorder. Indeed, the overall composition is both balanced and experimental, understated and stirring. Ratter’s signature appears in the lower right hand corner. 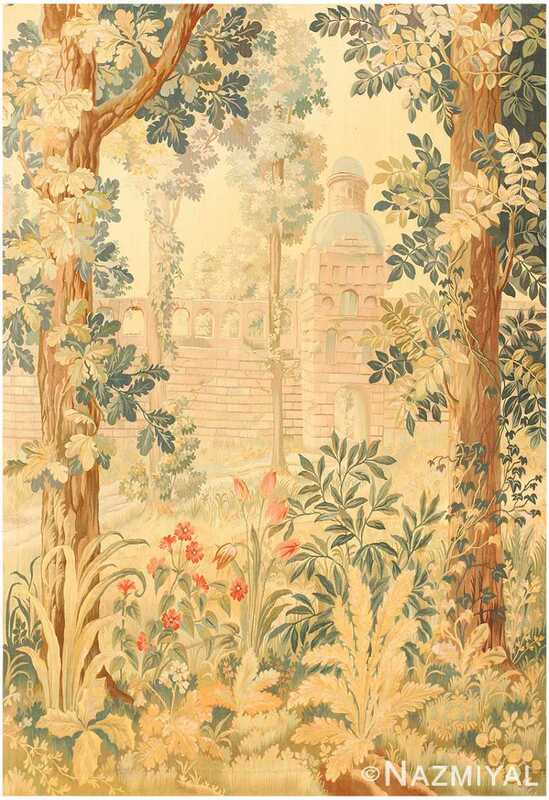 An exceptional work of art by an important twentieth-century artist, this vintage carpet is an exciting and unique example. 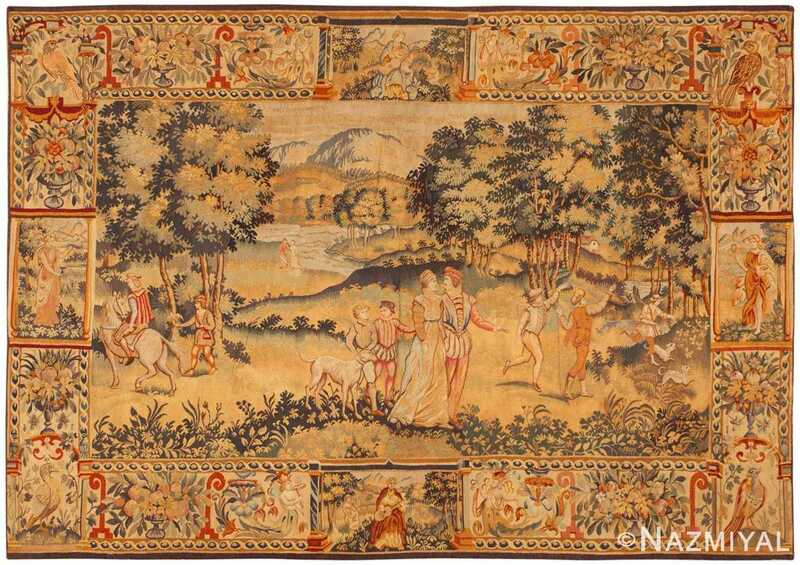 The age of chivalry lives on in the wild and untamed European landscape and the regal, sophisticated composition of this splendid antique Flemish tapestry. 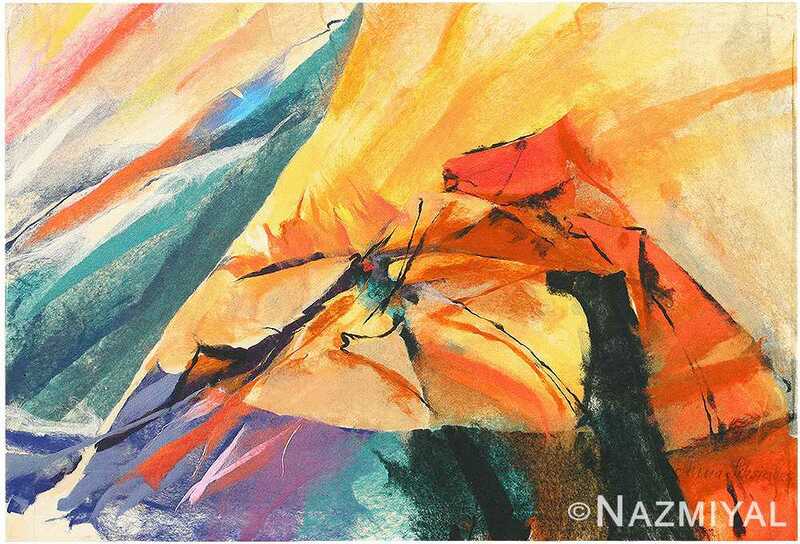 This gorgeous, abstract composition, titled "Horses in Gale," beautifully showcases Piksiades unique aesthetic, which combines expressionist elements with vibrant coloration.